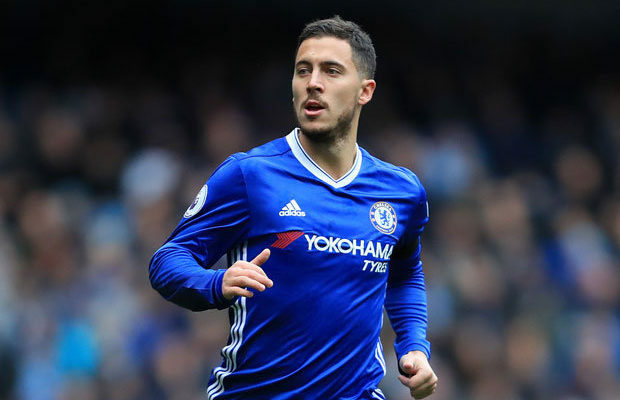 Chelsea’s star player Eden Hazard has become a hot player in the transfer window following his astounding performance in the Russia 2018 FIFA World Cup, he has gained interest from different clubs and the strongest of the link is Real Madrid. Eden Hazard started playing for Chelsea in 2012 and he can be said to have contributed in title winnings for the club. He won the Premier League Best player in the 2014-15 season for his outstanding performance. In a bid to find a replacement for Cristiano Ronaldo, Los Blancos of Real Madrid has listed Hazard as the replacement hoping to get him signed before the end of the transfer window. However, an agreement hasn’t been made between Chelsea and Real Madrid but that may not be likely as the transfer window closes on Thursday. Report from The Times stated that the Blues are ready to offer Hazard a renewal of €17million per season which is seen as a very enticing offer. Meanwhile, Chelsea’s new coach Maurizio Sarri will not likely want to lose Hazard by any chance as he is a valuable player for Chelsea and losing him now might place the club in a shaky position which is not what is needed right now.